Winning in Court requires skill, experience and effort. Patrick O'Connell has handled thousands of legal cases throughout Northeastern and Central Pennsylvania, including Bloomsburg, Danville, Columbia County and more. When it comes to practicing law, there is no substitute for trial experience. Let Patrick O'Connell put his Courtroom skills and experience to work for you. From start to finish, Patrick O'Connell will handle your case personally. He analyzes your case thoroughly and approaches each situation from different angles to maximize your chance for success. Patrick O'Connell also works with a wide range of highly qualified legal experts and consultants who assist in evaluating and presenting your case. Your growth, success and peace of mind are Patrick O'Connell's priorities. With great attention to detail, meticulous preparation and a willingness to try cases, he can achieve positive results for clients in Bloomsburg, PA and surrounding areas. While he defends his clients aggressively, he also places a strong emphasis on treating you compassionately and honestly. Patrick O'Connell prides himself on client access and promises to keep you informed each step of the way. Practicing law is all he knows how to do and he does it very well. Call Patrick O'Connell at 570-380-1280 or contact Patrick O'Connell online to schedule your initial consultation. 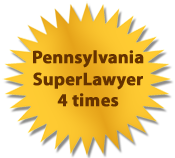 Patrick O'Connell serves clients throughout Bloomsburg, Danville, Columbia County, Luzerne, Montour and Northumberland Counties in Pennsylvania.